The Tabcat cat tracker is truly the most effective cat locating device of its type in the world. Pet owners have invested time and money in the device to track their adventurous cat or kitten who choose to seek solace by wandering off into a neighbour’s garden and curling up under a tree, unbeknown that their owner is anxiously looking for them. 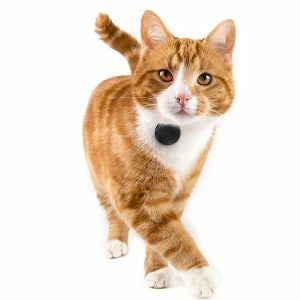 Cat owners simply push a button on their handset and this emits a signal to the tag which is placed on the collar of their cat. They can then locate kitty quickly by following audio and visual cues which identify the direction their cat has meandered off to. However, Tabcat didn’t originally start off as a device for cats and cat alone. As the tag is so small and light it can easily it or attach itself to many everyday household items such as keys, wallets, phones and bags. It was even designed for finding your children who have a habit of running off! With more and more people using these devices, we got to learn a lot more about the products uses and tracking your cat become one of them. A fun way to play hide and seek! So there you have it. The Tabcat cat tracker was a spin off from being used for finding everyday items including kids but has proved to be very successful with thousands of customers worldwide that own cats. If you have any other suggestions about how you could use or do use our tracker then do let us know at sales@mytabcat.com. And if you have yet to purchase our tracker, visit out Tabcat shop now.